We applied custom limo tinting to this 2014 Nissan 370Z. 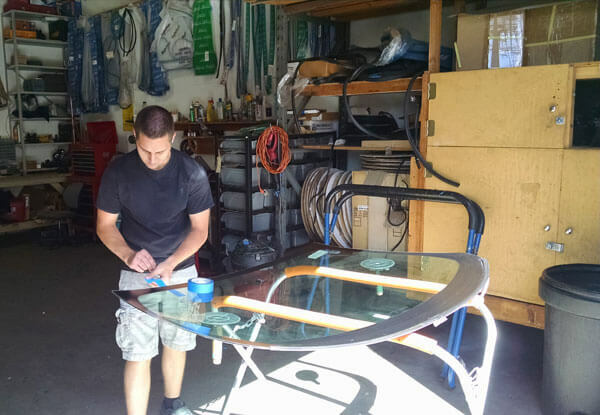 Faith Auto Glass is Riverside's trusted source for luxury and sports car window tinting. 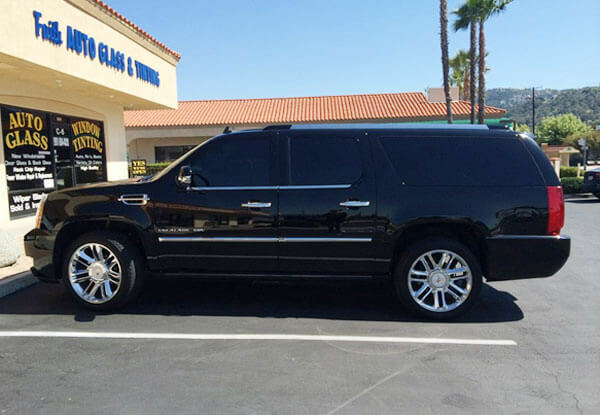 We applied custom 5% window tints all the around this 2014 Cadillac Escalade. Limo tinting provides a blacked out appearance and extensive privacy and UV protection. Faith Auto Glass provides high-quality window tinting at competitive rates. Since 1989, we've tinted thousands of cars, boats, and rvs to customers in Temecula, Murrieta, Lake Elsinore, and surrounding cities. 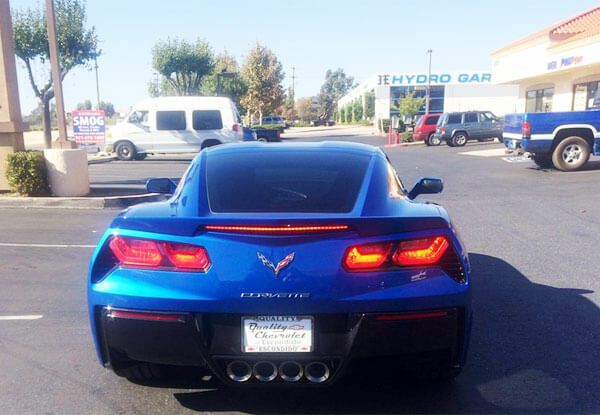 Faith Auto Glass applied 20% window tinting to this 2014 Corvette. The medium tinting was applied all the way around providing the desired look, privacy, and UV protection while maintaining the driver's visibility. 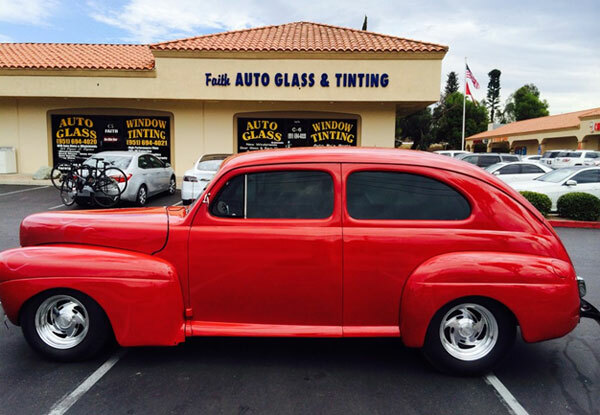 Faith Auto Glass is the best value for class car window tinting in Murrieta, Fallbrook, Wildomar, Menifee, and surrounding cities in the Temecula area. We applied 5% limo tinting to this classic car providing exceptional results at an affordable price. 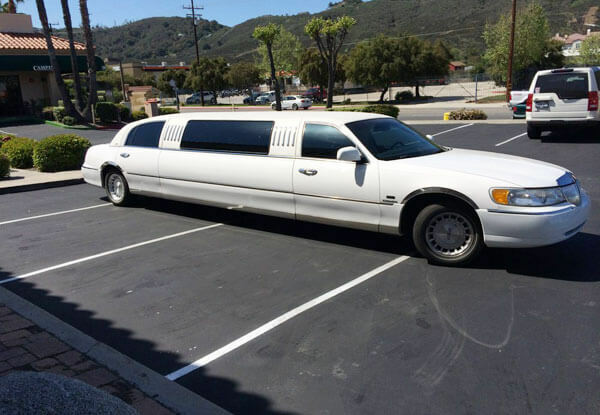 Faith Auto Glass applied 5% limo tinting to this stretch limo providing the desired privacy and UV protection. We custom tint cars, limos, trucks, RVs, and boats for customers in Murrieta, Fallbrook, Lake Elsinore, and surrounding cities. 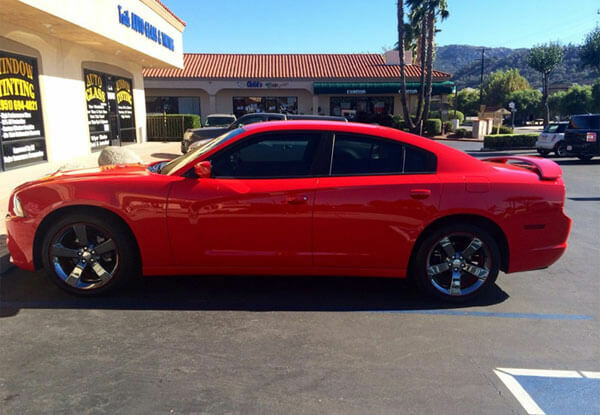 This custom tint job on this 2014 Dodge Charger was completed by Faith Auto Glass in Temecula, CA. We applied 20% window tints to the rear windows and 35% tint to the front window giving our client darker tinting on the back windows and lighter tinting on the front windows. We provide expert window tinting for luxury cars, classics, sports cars, and more throughout Murrieta, Menifee, Hemet, Lake Elsinore, and nearby cities. 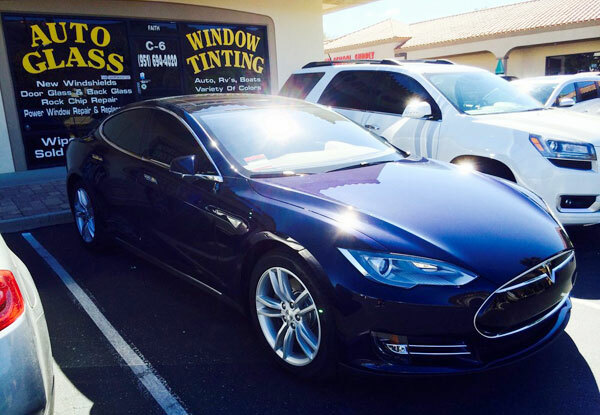 We applied custom window tints to this Tesla giving it an even more impressive look and added privacy. 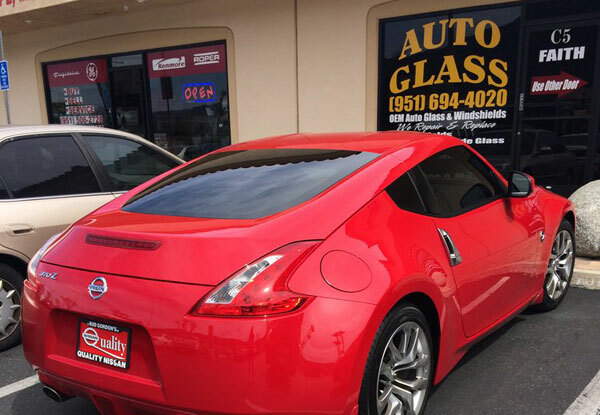 We offer affordable, high quality, custom window tinting for customers throughout Riverside County. 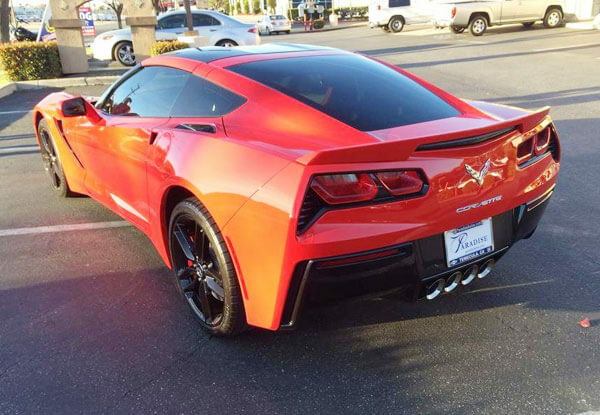 This 2015 Corvette features 20% window tints installed by Faith Auto Glass in Temecula, CA. 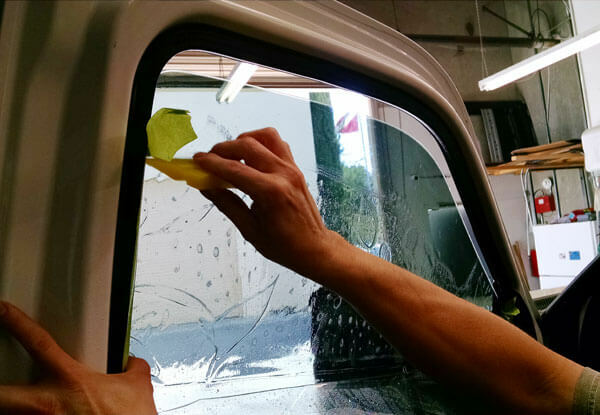 Our exceptional service, attention to detail, and affordable prices have earned us a reputation as the best value for window tinting in Wildomar, Fallbrook, Murrieta, and other cities throughout the Temecula area. We have a perfect 5-star reputation on Yelp with nearly 200 reviews from satisfied customers. 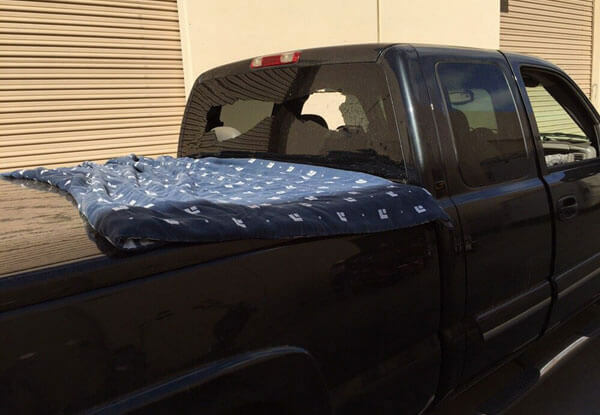 This frustrated truck owner had his back window broken by vandals and Faith Auto Glass was there to help. We replaced the rear window of this pickup truck in Fallbrook, CA. 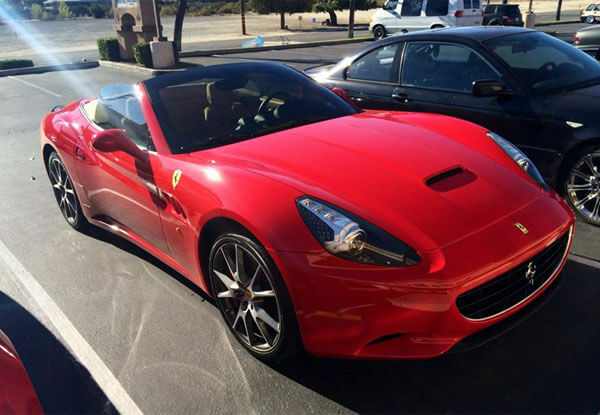 We keep thousands of premium-quality windshields in stock to accommodate all makes and models of vehicles including this beautiful 2013 Ferrari. 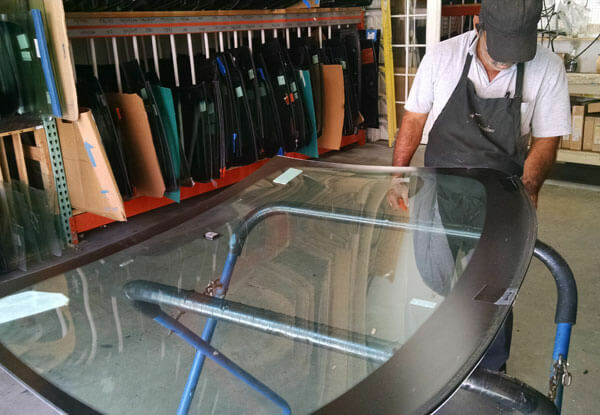 We replaced this windshield at our Temecula, CA auto glass shop. 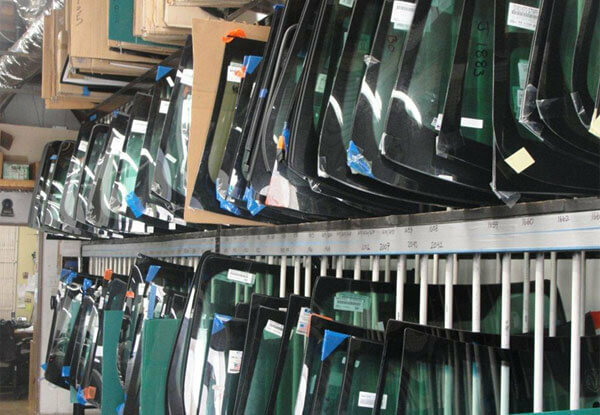 Faith Auto Glass has a large windshield inventory to provide windshield replacements for all makes and models. We use the industry's best materials and installation techniques to deliver the best possible results. Our multi-step headlight cleaning process will make your headlights look cleaner and shine brighter. 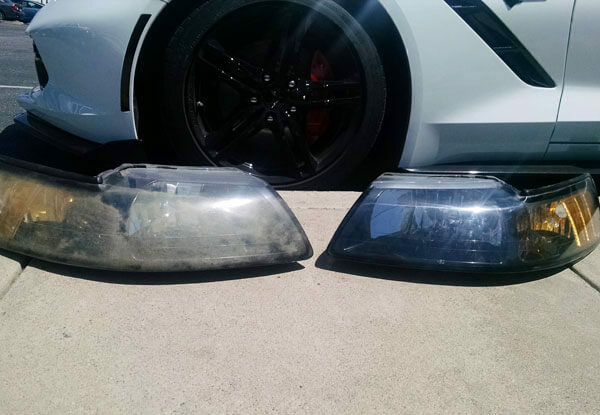 We completed this headlight restoration in Temecula, CA. Call today to book your appointment! 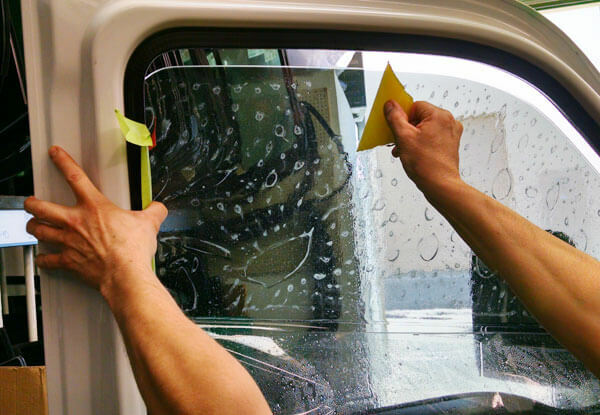 Faith Auto Glass is the best value for windshield replacement in Riverside County. We offer mobile service for windshield replacement in Murrieta, Menifee, Hemet, Wildomar, Winchester, Fallbrook, Temecula, & nearby cities. Windshield crack repair offers significant savings over a complete windshield replacement. 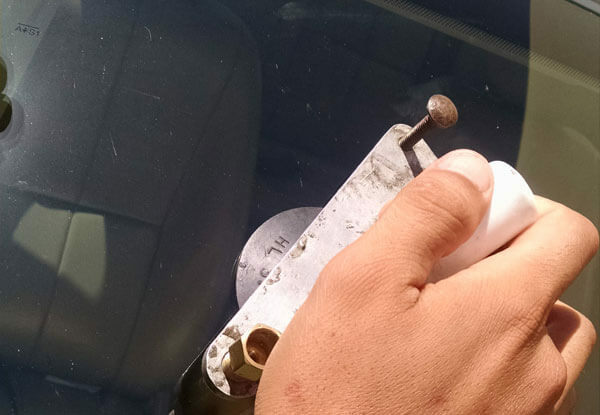 We have over 27 years of experience providing windshield chip and crack repair to clients in Menifee, Murrieta, Temecula, Fallbrook, and nearby cities. Our experienced auto glass installers have been trained and certified by Dow Automotive Systems, the industry's leading manufacturer for urethane adhesives. 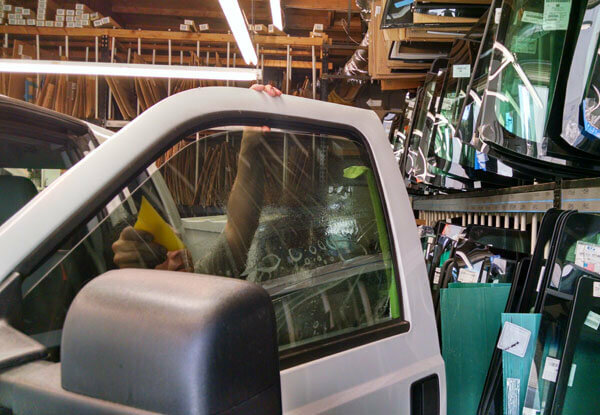 We offer affordable windshield replacement for clients in Murrieta, Menifee, Fallbrook, and surrounding areas. 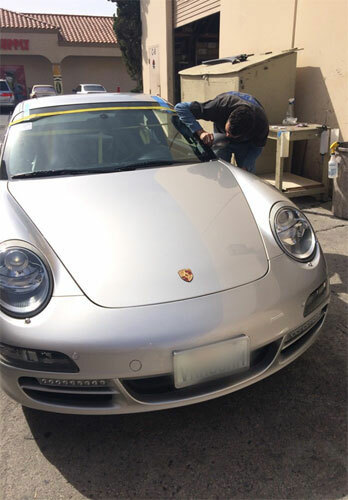 Faith Auto Glass & Window Tinting replaced the windshield on this Porsche in Temecula, CA. Our skilled glass installers are familiar with all makes and models including luxury vehicles and sports cars. We offer expert windshield replacement for Murrieta, Temecula, and Fallbrook car owners and auto dealerships. 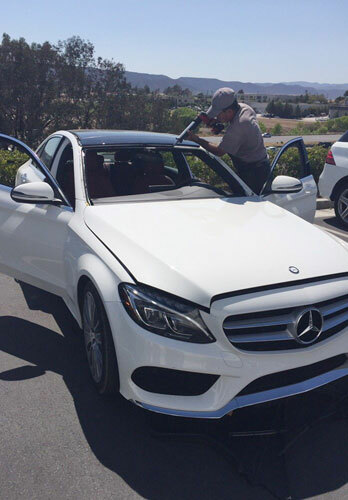 Our highly experienced auto glass installers replaced the windshield on this Mercedes Benz in Temecula, CA. Our team of glass installer are trained and certified by Dow Automotive Systems, and have experience replacing windshields for all makes and models. 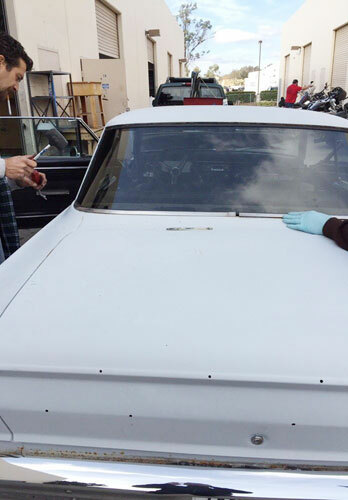 We replaced the back window on this classic car at our Temecula, CA auto glass shop. Faith Auto Glass & Window Tinting excels at delivering exceptional results at competitive prices. We completed this windshield replacement for a Murrieta, CA client. 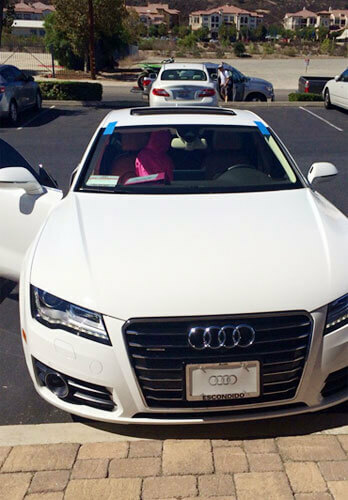 The windshield on this Audi A7 delivers the same level of protection as the original windshield. Faith Auto Glass is the best Tinting Spot or Glass Repair in town. I have referred my Mom, Both of my brothers, and My wife to Faith. They have done an excellent job at the best price for: 1. Tinting 2. RE-Tinting ( had a vehicle with damaged bubbling tint from another spot in town, not naming names) . . .